Young love can be a confusing thing. Hormones are racing, your body’s changing, and there’s pressure from the world around you to pair off. 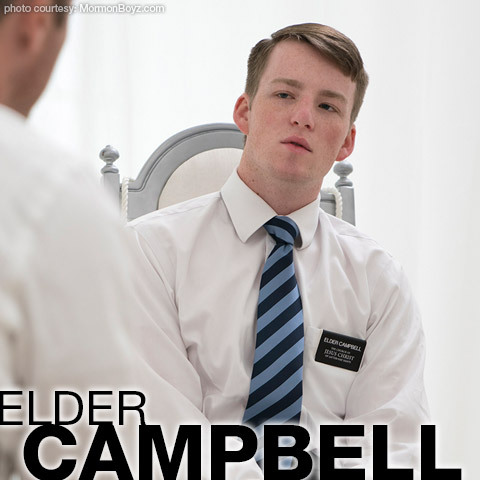 Elder Campbell was caught up more than most in the dizzying messages coming from within and without. Before he even was developing the chemical feelings of attraction, girls were chasing him around hoping to date him. And it’s not hard to see why. Campbell is a handsome, sweethearted, sensitive boy. His biggest flaw has always been his own sense of worry. Everything he did and does is carefully considered and meticulously planned. And when he has doubts, it can sometimes be hard for him to get out of his own head and just act. Until one day when he was 16 and he was spending more and more time with one particular girlfriend. He kind and polite and everything a good boy should be.